Wish you could connect with customers in-store and in-home with the same channel? It is costly to have to advertise on TV, posters, online or in magazines AND then have to invest again in POS in-store as well. 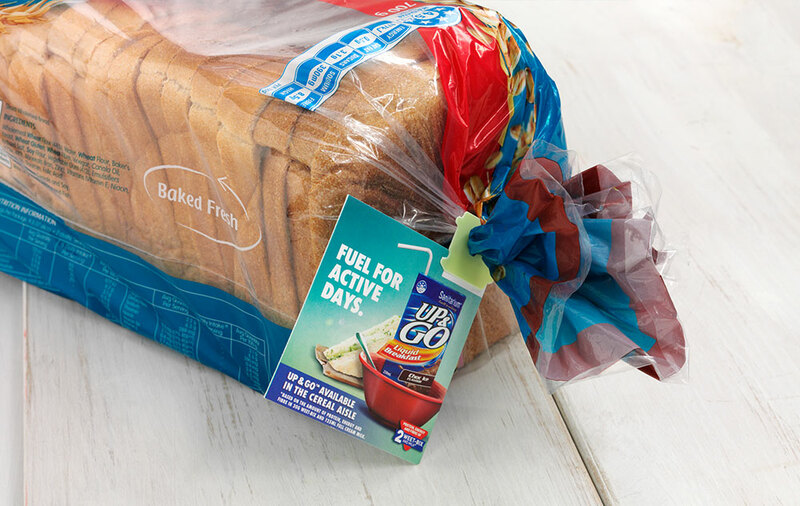 Bread Connect is a new advertising solution that uses bread packaging to connect brands with shoppers in-store AND in their home. “Bread Connect has been a great new sales-driver for Sirena Tuna. Sirena Tuna & Abbotts Village Bakery were a great brand fit given the premium shopper positioning. The campaign allowed Sirena to increase frequency of consumption in Winter by delivering recipe ideas with unique off-location presence. We saw the impressive results from other brands and were delighted when our campaign also delivered a 12.4% sales uplift”. Leveraging the vast distribution of Tip Top Bakery brands, Bread Connect delivers unparalleled reach & frequency, with an average of 2 impacts in-store and 5 in the home per week. This is the first time that Tip Top have offered advertising on their packaging to other brands. No other bread brand in Australia offers this unique opportunity. Bread is a natural host to a number of FMCG products, it is also the most frequently purchased grocery item, with 39% of shoppers buying everyday or every few days (Shopperpedia 2017). Each campaign is based around a host bread brand, so if you’re after health-focused people, Burgen is your ideal host. If you’re after a more premium shopper then Abbott’s Village Bakery is appropriate. If you’re after heartland Aussie families then Tip Top The One is, well, the one. Proven sales uplift of up to 15% derived exclusively from Bread Connect and communications recall of 86%. Let us know your objectives and we’ll tailor a solution for your budget and needs.